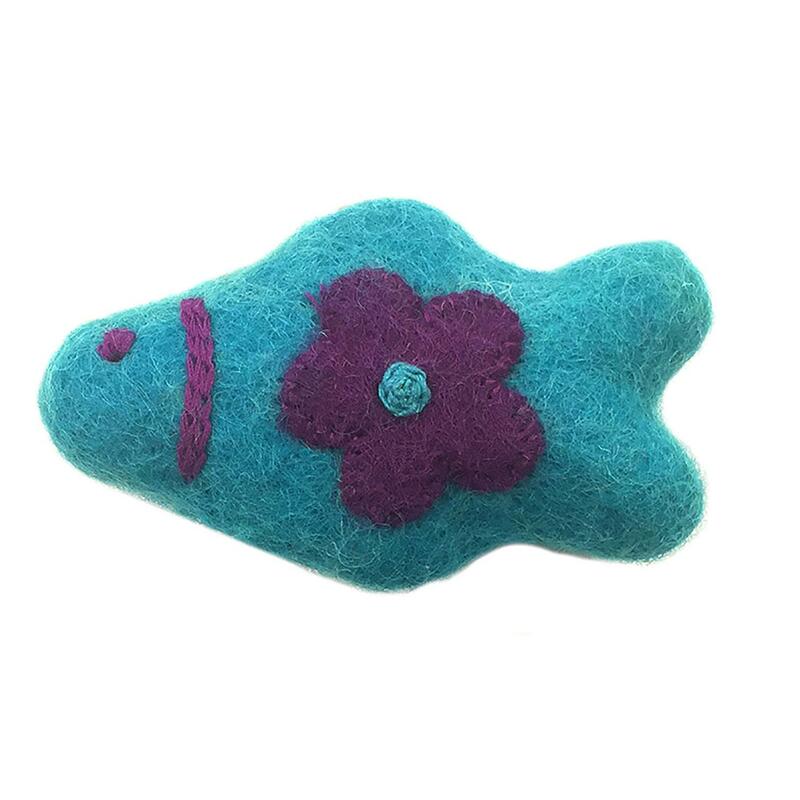 Make a purrrfect playtime for your feline with the Teal Fish Wooly Wonkz Woodland Cat Toy! The Wooly Wonkz Woodland Cat Toy is great for your pouncing cat or a small dog. Soft and clawable texture cats crave will make playtime fun and safe. Lovingly made in Nepal. Colors and sizes may vary making each toy special. Made of 100% New Zealand wool. Crinkly film interior will keep the play going. Check out other colored fish and Wooly Wonkz Toys. great place, really love the RC Pets harnesses, not the step in ones, they work great on our little ones and if needed to pick them up quickly, they do not choke and the clip is far enough back they do not hang by their necks.